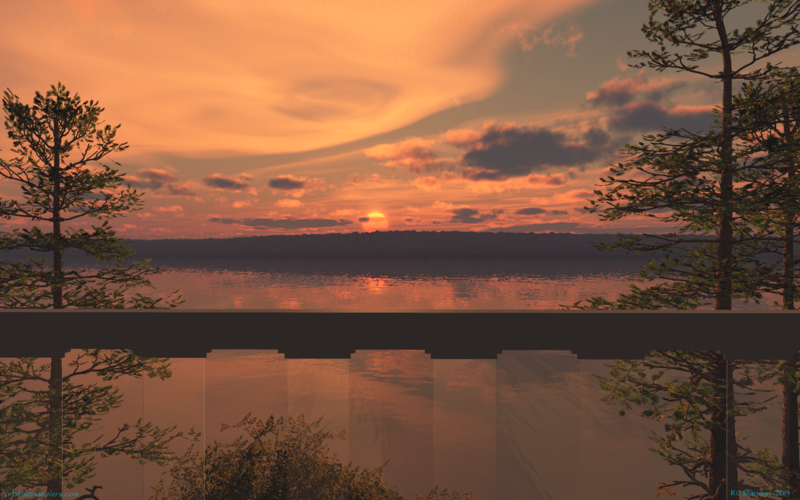 A sunset Inspired by a vacation in the Thousand Islands while staying on Wellesly Island, which overlooks the Lake of the Isles. A beautiful area to appreciate some of the wonders this planet has to offer. This entry was posted in Uncategorized, Wallpaper by RC Davison. Bookmark the permalink.